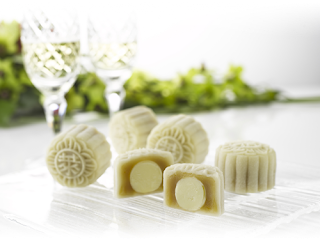 It's Mid-Autumn Festival again and in Singapore you'd know it by the flood of mooncakes everywhere. So many unique flavors, so little time. 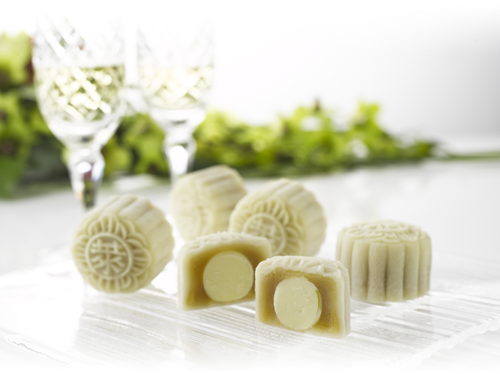 Like the Snow-Skin Mooncake with Champagne Truffle and Ganache shown below from Raffles Hotel. Yum. But I digress, I'm actually here to talk about the Lantern part of the festival. This year, we decided to participate in the local festivities and signed up our 3 year old daughter for the community lantern procession for kids. There was a lucky draw after the procession but in any case, they were saying the lucky draw numbers in Chinese so we couldn't really tell if we won anything or not. But hey it was still quite a night. They holed up the kids and tried to keep them hostage, er, I mean, entertained while the adults were out singing and doing the lucky draws but we broke our daughter free and made a run for it. Next up - Halloween...can't wait to go trick or treating!